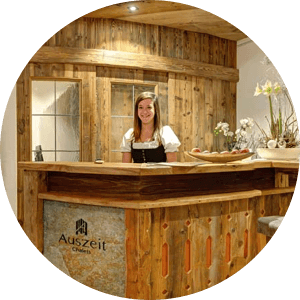 Deep in the middle of the Salzburg mountains sits Auszeit, a luxury chalet village. Their slogan, “home is where you feel good” but as the modern home is evolving, so are their chalets. 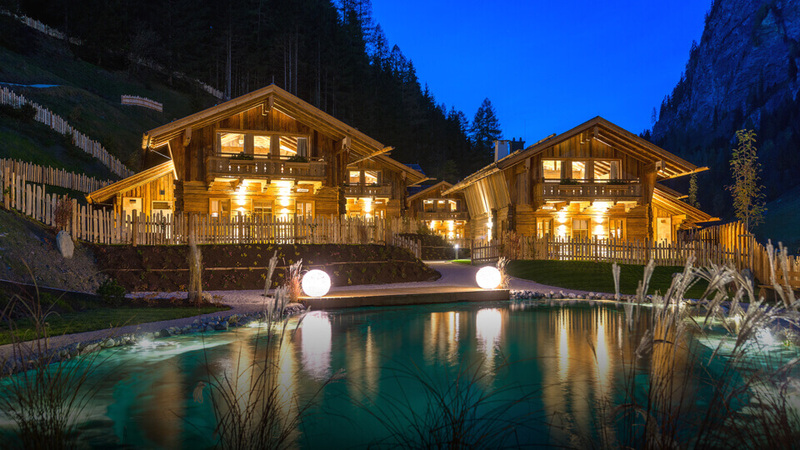 Loxone helps bring modern Smart Home technology to this traditional picturesque getaway. 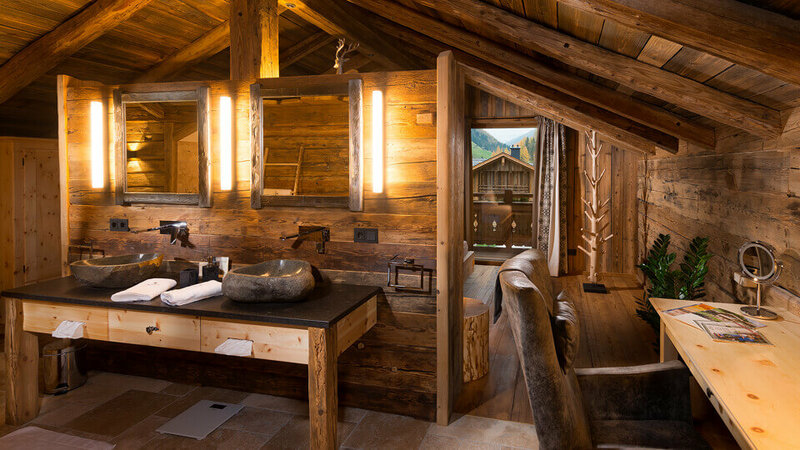 Each chalet has a ‘hot pot’ – a giant wooden barrel of sorts that has been crafted into a cosy outdoor tub. The reception staff fill each ‘hot pot’ with a simple tap in the Loxone App. At the start of each day, the tubs are drained and rinsed. After 5 seconds of rinsing, the hot pot automatically stops the rinsing flow and fills the baths with comfortably warm water. If the outside temperature drops below 2°C, an additional heating element is activated to prevent the formation of ice when the tub is filling. It all works, as if by magic. If the temperature in the hot pot drops below 27°C and is unoccupied, the bath is emptied automatically. 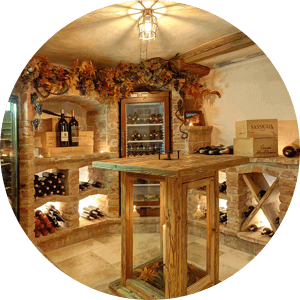 The reception staff can also intervene manually at any time and start the emptying process earlier should they wish to. Going swimming amongst the snowy mountains? 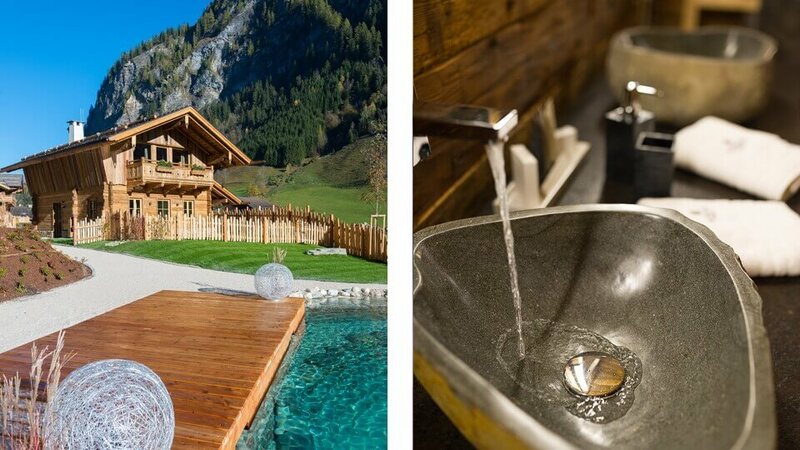 Why not… This luxury chalet village features a crystal-clear pool that makes for a tranquil relaxation spot for guests. At night, the pool area and leading walkways are illuminated with automated lighting. While it might be snowing around you, there’ll be no snow on or in the ‘hot pot’. 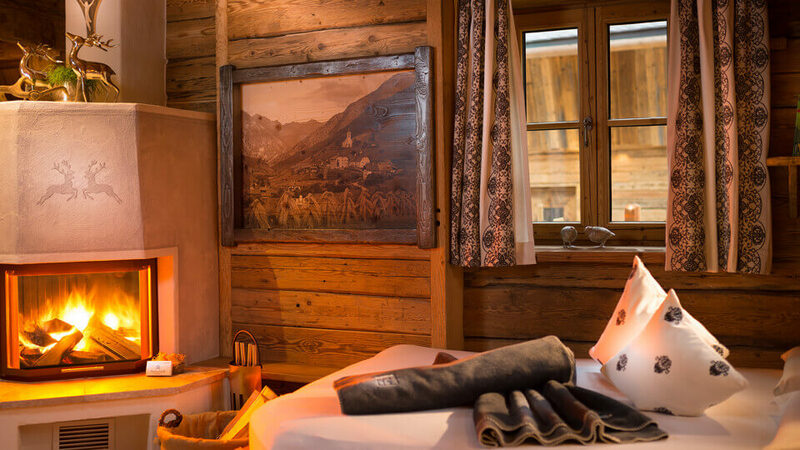 That’s because when the outside temperature drops below 2°C, the outdoor space heaters automatically turn on – but only if the chalet is occupied (so it doesn’t waste energy). After a predefined time, the heaters then turn off. Of course, as with the hot pots themselves, the reception staff can take full control of the space heaters at any point. As if relaxing in the snowy alps wasn’t cool enough, this neat James Bond-esque feature will impress. 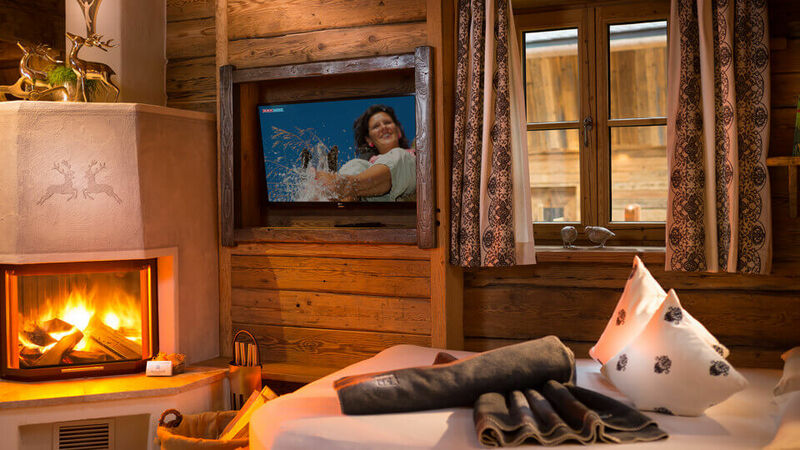 When you get back to the chalet from hitting the slopes, a single tap on ‘TV Mode’ in the Loxone app will adjust the lighting and reveal a TV. From where? Well, a picture frame next to the fire place will retreat into the wall automatically, revealing an impressive flat screen ready for your viewing pleasure. 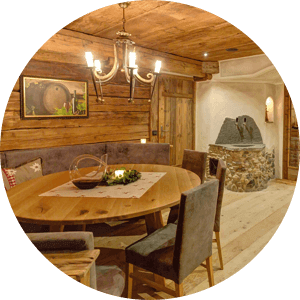 In the main lodge of this chalet village, you’ll find a restaurant, wine cellar and the reception. Of course, there’s Loxone features here too. All the lighting in the main lodge is controlled by Loxone. Appropriate lighting moods such as ‘Dinner’, ‘Evening’, or ‘Bar Night’, can all be activated from the Loxone App at the bar or reception desk. Just as important as the time on the slopes is the time after the slopes… We’re talking Après ski. 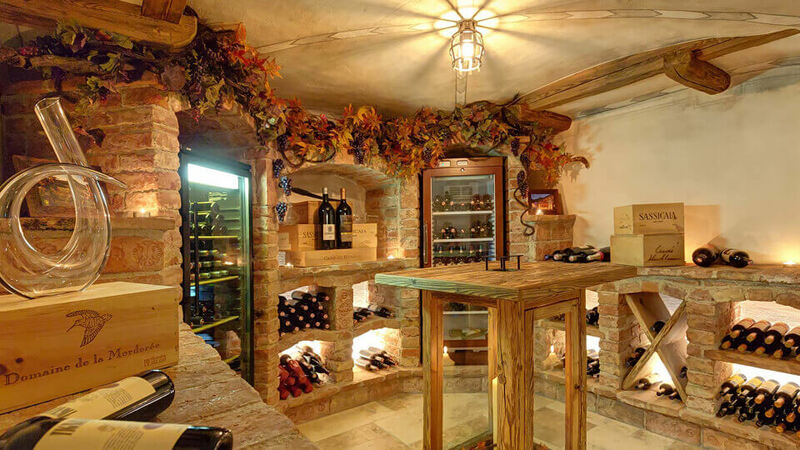 Class it up a little by browsing the selection of wine and having a wine tasting in the cosy wine cellar and dining area. Different lighting moods take care of creating the right ambience. Loxone takes care of more than just the lighting here, the ventilation in the wine cellar is automated based on presence or a schedule. Loxone doesn’t only make the environment more comfortable and relaxing for the guests – it also alleviates some of the tasks that the staff would usually have to do. Whether it is filling the hot tubs before guests arrive, activating the space heaters or turning the lights on – all this and more is controlled from the Loxone app by reception staff. 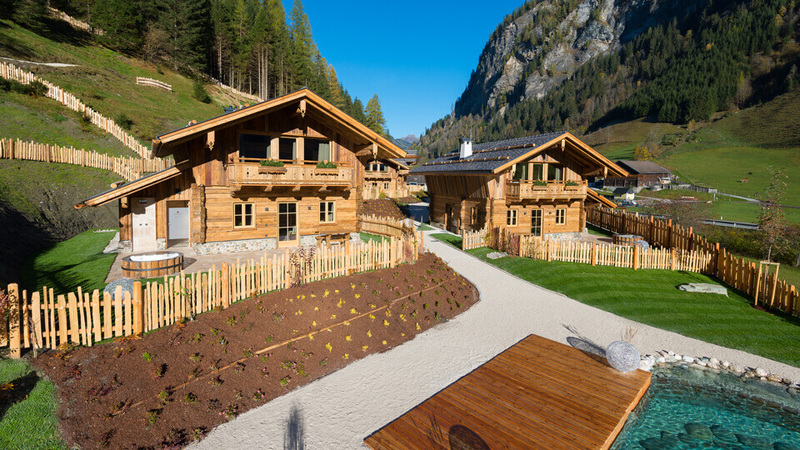 Loxone isn’t only used to make the chalet village more comfortable, it also features in making it safe. Smoke detectors have been installed in each of the luxury chalets. 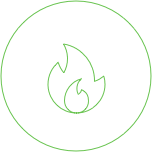 Should a fire be detected, the owner immediately receives an alert which gives him information on where the potential danger is. Emergencies do happen. 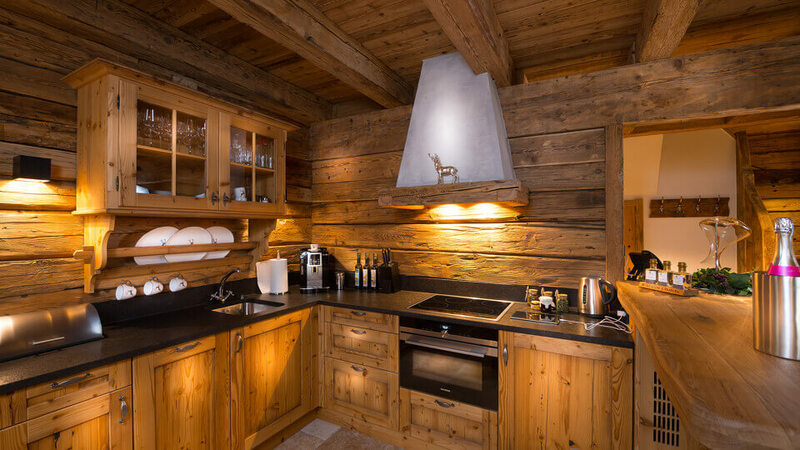 That is why each chalet is equiped with an emergency button. When a guest presses this, it alerts the staff at reception via the Loxone app. This means the right emergency procedures can be activated in a matter of seconds. A pump ensures that the water in the relaxation pools is constantly flowing to prevent stagnation and associated bacteria forming. If the pumps stop working for any reason, such as a power cut, then the staff need to know straight away so that they can take action. 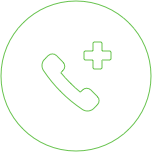 If a failure is detected, an alert is sent via the Loxone app to the appropriate members of staff. When it comes time to call it a night and all the guests have left the main lodge, the processing of closing up is made all the more easier with Loxone. 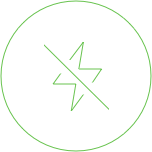 A single tap in the Loxone App turns off the lighting in the restaurant, kitchen and bar; turns off the space heaters out on the terrace; and more. 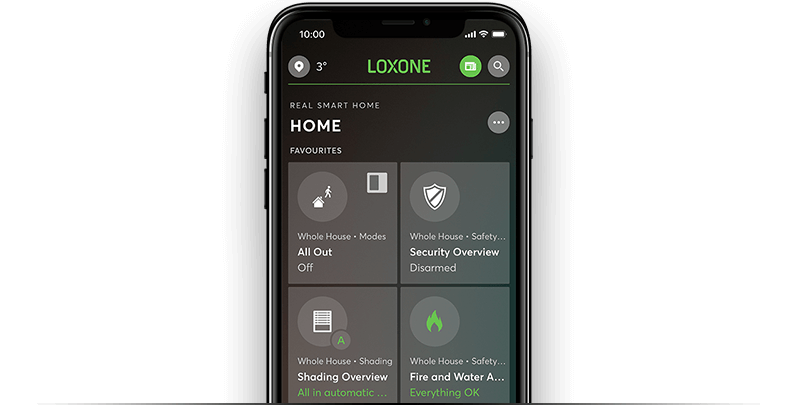 Take a look at one of our many wonderful smart home case studies and uncover some amazing ideas that you can use in your very own Loxone project.